Nokta Makro Detection Technologies companies focuses on customer satisfaction by selling high-end products at various price ranges to meet the needs of a broad consumer population. The company is known for using cutting-edge technology to create high performance products with sleek and ergonomic designs. This company takes pride in investing in intense Research and Development. This is a company that invests in innovation in order to bring service above all else to the their consumers. 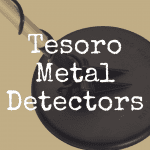 In this article, we’re going to help you best determine the top Makro detectors you should consider getting for your next treasure hunting adventure. 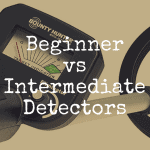 And in order to better help you, please use our interactive guide to compare some of the more popular Makro metal detectors against one another. The Invenio Series is the world’s first smart metal detector that uses artificial intelligence to discover treasures in real time. The imaging system provides the shape, depth, dimensions and discrimination of under ground metals and anomalies such as cavities and caves on a futuristic LED screen. This device would benefit deep treasure hunters, archeologists, municipalities, utility companies, CSI & Law Enforcement Agencies. There are two detectors in the Invenio Series – Invenio ($9,900) and Invenio Pro ($11,900). For just $2,000 more dollars, one can receive the Pro for some bonus features such as added operating frequencies, search coils and a spare battery. The Invenio Pro has three operating frequencies – 5 kHz, 14 kHz and 20 kHz. The Invenio operates at its one and only frequency of 14 kHz. Both detectors come equipped with 28×18 cm and 40×35 cm Waterproof DD Search Coils. However, the Invenio Pro comes with an additional 56×40 cm Waterproof DD Search Coil. The Invenio Pro comes with an additional spare System Box Battery (7.4 V 9500 mAh LiPo) that typically lasts around 5 hours. This unit is hands-down the best metal detecting unit available at the moment due to the nature of it having the latest technology. It is incredibly accurate and easy to use. More importantly, they do exactly what they are designed to do. There is simply nothing out on the market that is comparable to the Invenio Series. In all honesty, the Invenio lacks depth, but is really incredibly accurate. An individual can search with the Notka Makro DeepHunter (a somewhat comparable detector) and reach 8-12 meters, wear as the Invenio is more like 2-4 meters. 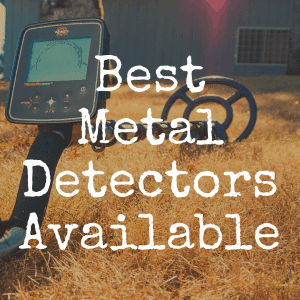 The Notka Makro DeepHunter Metal Detector is the closest unit to compare to the Invenio Series that is currently on the market. It maybe able to detect a little deeper, but it’s not quite as advanced. The Kruzer Series is a unique series that offers an all-terrain and multi-purpose experience. The Kruzer Series includes three unique devices – Kruzer, The Multi-Kruzer and Gold Kruzer. As an The Kruzer and Multi-Kruzer are specifically for Underwater and Coin & Relic Detector. Gold Kruzer is the most advanced gold and micro-jewelry detector on the market with a high operating frequency of 61 kHz. This unit is sensitive to even the tiniest of nuggets and can perform in harsh conditions. This series offers the best performance and depth range for one steal of a price (for what you get as a consumer)! Ideally, the target population purchasing this series is serious hunters looking to spend a little bit of money. Though more expensive than a level one unit, this series allows for anyone to operate the system at ease. The Multi-Kruzer offers three different options as for as operating frequencies – 5 kHz, 14 kHz, and 19 kHz. The Kruzer only offers one standard, but pretty useful frequency which is the standard 14 kHz. A consumer that wants to pay $100 more for these features will not be disappointed. The 5 kHz is used for searching for low relics and greater depths. The 19 kHz is great for searching for small objects like gold nuggets. The standard, in both units, 14 kHz is an all-purpose operating frequency. The Gold Kruzer has the highest operating frequency of 61 kHz to find those small nuggets of gold with ease. To see a comparison chart by manufacturer between the Kruzer and Multi-Kruzer click here. 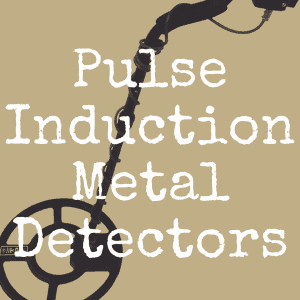 The Kuzer Series is a modern and efficient upgrade from Notka Makro’s previous models of the Racer Metal Detector. This series is specifically designed for hobby and underwater detection purposes. The user will be able to find items such as relics, coins, jewelry and certain metals underwater and on land with ease. Some key advantages of the Kruzer Series are the waterproof external battery pack, availability to update software at no cost via PC and overall stability. The unit is also light weight which is a great advantage for those who are serious about long treks and may become fatigued quickly. Consumers who have had the racer are genuinely impressed with this upgrade. Though the unit has wireless headphones it is not easy to connect other types of headphones. 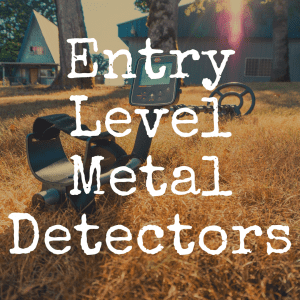 The Notka Makro Multi Kruzer and Minelab Equinox 800 are very excellent multi-frequency metal detectors that are impressive on land and sea. Overall the advantages of the Kruzer over the Equinox 800 include the waterproof battery pack, being able to update software via PC at no cost to consumers, the excellent vibrating function, having a 19 hour run time, wireless 2.4 gHz headphones, external battery and plenty of options for coils. The Kruzer is unique in a sense that it includes the E.U.D. mode. The main advantage of selecting the Mult-Kruzer over the Equinox 800 would be the functional difference of it having a superior coil selection which does include a concentric coil. Notka Makro offers affordable coils for this unit as well. Consumers who have had the chance to touch the devices physically have chosen either or due to preferences including how the device feels on their arm, the screen layout and audio systems. It is without a doubt that the Kruzer and Garrett AT MAX are both incredible units with appealing features such as being light-weight (3 lbs), search with multi-purpose users and excellent discrimination and are waterproof. However, by looking at the fine details you will see that the Kruzer Notka Makro overall is more powerful and poses a great amount of agility. The XP ORX Metal Detector is a better all-around detector than the Gold Kruzer. However, it is not completely submersible in water. The XP ORX is the closest unit in comparison to the Gold Kruzer due to it’s high operating frequency function. This unit excels the Gold Kruzer with a multiple frequencies ranging between 13 kHz to 81 kHz. This unit is also lighter than the Gold Kruzer at a 2 lb. weight. The headphone jack is wireless in the XP ORX and the Gold Kruzer has a waterproof connector. The Gold Kruzer has the operating mode for all metal and discriminate and the XP ORX has the operating modes of gold prospecting (x2), coils and relic (x2) and 2 user defined. For around $100 extra, choosing the XP ORX Wireless over the Gold Kruzer would not be a bad decision. The XP ORX Wireless is just hands down one of the best gold detectors for sale. You can find more information about the Kruzer units here. Without a doubt, Notka Makro has made great products with the consumer in mind. Notka Makro does not make outrageous claims, what you get is what was described on their site. The customer service provided by Notka Makro is untouchable compared to other manufactures. I appreciate the quality, availability, options and innovation that this company puts into their products. I’d recommend the Notka Makro Multi-Kruzer over all of the units listed above. I’d also recommend this unit above all other units available. 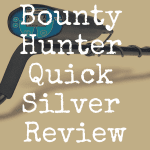 This device goes above and beyond when we’re talking about needing a detector that is light-weight, waterproof, quick to recover and easy to navigate. With keeping my personal preferences and goals as a treasure hunter in mind, I’d choose the Multi-Kruzer over and over again. As a serious hobbyist by the sea I feel as though the money spent on this device is well worth it. This is one of the best beach metal detectors around. I feel that what makes this unit head and shoulders better than other comparable units is its durability to be completely submerged under water up to 16.4’. As a snorkel fanatic while on vacation there are other features that assist under water such as the excellent discrimination of targets, advanced beach mode, E.U.D. Function and vibrating hand grip. I’d like to point out that under water one cannot really hear the auditory detection (obviously). However, the vibrating hand grip is essential and most useful. Another set-apart-feature would be the Iron Audio function. Iron Audio is easy to turn off and on when out searching in wide open spaces – a game changing feature. I typically get irritated in high trash situations with all of the constant notifications of iron, so this feature is wonderful while relic hunting. The stock coil with the Multi-Kruzer allows me to search high infested iron areas with ease right out of the box. 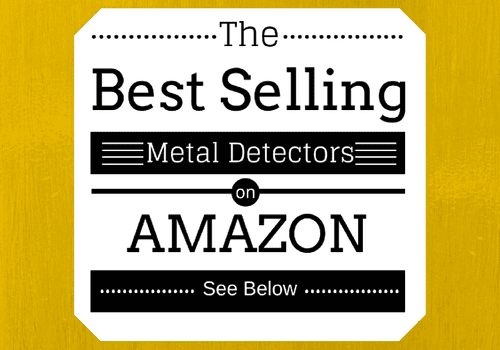 If the consumer is looking for an overall great all around detector that is easy to operate and affordable – this is it! It’s an added bonus that the company is dedicated to the consumer for the innovation and problem-solving issues that may encounter. I’d 110% percent recommend the Notka Makro Multi-Kruzer to anyone with these goals in mind. You can find more information about the Multi-Kruzer here.